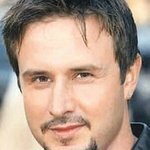 Fancy getting to know actor David Arquette over a cup of coffee in Los Angeles, before helping those less fortunate at a local food bank or hunger relief agency? A new charity auction will give you the chance to do just that. The auction runs from November 13-23, and is part of the Woodbridge by Robert Mondavi Give Hope Campaign to help raise funds for and awareness of hunger. Also up for grabs is the chance to help Queer Eye’s Ted Allen to give back to the community by feeding the hungry at the Food Bank For New York City for an afternoon of philanthropy before joining him at Del Posto, the celebrated restaurant of his Iron Chef America colleague and Food Bank for New York City supporter, Mario Batali. This is the second consecutive year Woodbridge by Robert Mondavi has joined forces with Feeding America during the holiday season to help raise funds for and awareness of hunger in America through the Give Hope Campaign. Feeding America is the largest charitable hunger-relief organization in the U.S. with over 200 member food banks nationwide. In addition to the charity auction, Woodbridge by Robert Mondavi will match every dollar consumers donate up to $50,000 through its website until December 31, 2008. All proceeds generated will benefit Feeding America and its member food banks. More information about the campaign and auction can be found at the Woodbridge Wines website.